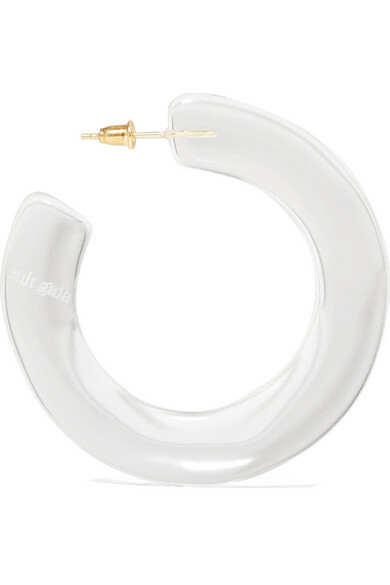 If you're already a fan of this season's see-through bags and pumps, then Cult Gaia's clear 'Mira' hoops are just for you. They're made from incredibly lightweight acrylic and have a cool flat shape. Wear them with everything from jeans to summer dresses. Shown here with: REJINA PYO Blazer, Jade Swim Swimsuit, AGOLDE Jeans, Alighieri Necklace, Alighieri Bracelet, Sophie Buhai Cuff, Tohum Bracelet, WALD Berlin Necklace, Jennifer Fisher Ring.